Image by amoebafinger on Flickr Commons. When the American Film Institute set up its conservatory for Advanced Film Studies in 1969, its first round of students included Terrence Malick, Caleb Deschanel, Paul Schrader, and the Master of Absurd himself, David Lynch. (Now that’s a class reunion worth going to!) 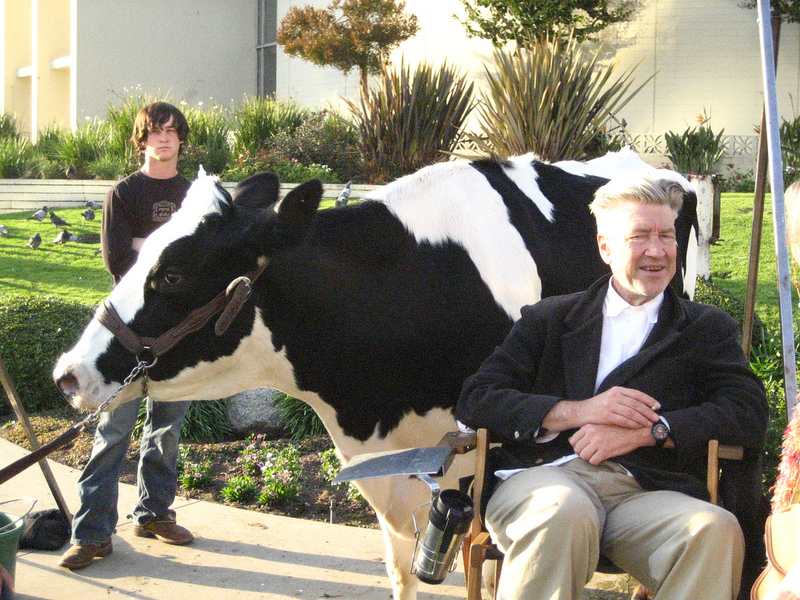 Now some 40 years on, the Maharishi University of Management, in Fairfield, Iowa, is accepting applications for its David Lynch MA in Film program. the ability to dive within—to transcend and experience that unbounded ocean of pure consciousness which is unbounded intelligence, creativity, happiness, love, energy, power, and peace. Before one gets too excited and thinks that the director himself will be teaching every class and that you’ll get to hang out with him during office hours, that’s not the way the program works. Classes are taught by director/cinematographer Michael W. Barnard (and once the head of the Maharishi’s film department), screenwriter Dorothy Rompalske, and David Lynch Foundation Television founder Amine Kouider. Guest speakers have included Jim Carrey, Peter Farrelly, script doctor Dara Marks, Twin Peaks alum Duwayne Dunham, and many other Hollywood insiders. However, students do get a field trip to Los Angeles to meet Lynch and spend time with the filmmaker. The aspiring filmmakers should consider themselves lucky, seeing that the director is busy working on Twin Peaks’ new season and apparently writing an autobiography. There are two scholarships up for grabs for applicants who have a film or script to submit, but the deadline is fast approaching on Nov. 1.